James Bartley (1870–1909) is the central figure in a late nineteenth-century story according to which he was swallowed whole by a sperm whale. 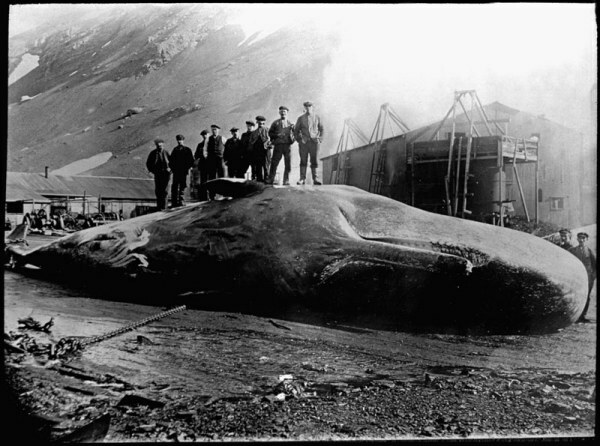 He was found days later in the stomach of the whale, which was dead from constipation. The story as reported is that during a whaling expedition off the Falkland Islands, Bartley's boat was attacked by the whale and he landed inside the whale's mouth. He survived the ordeal and was carved out of the stomach by his peers when they, not knowing he was inside, caught and began skinning the whale because of the hot weather which would have rotted the whale meat. It was said that he was in the whale for 18 hours and it was also said that his skin had been bleached by the gastric juices, and that he was blind the rest of his life. He was, however, supposed to have returned to work within three weeks in some accounts. He died 43 years later and his tombstone in Gloucester says "James Bartley- a modern day Jonah." In 1896, an article was published in the New York Times that quoted a brief portion of this story, as told by Rev. William Justin Harsha, along with some initial observations. This was followed about a week later by another article that briefly summarised some responses from readers, followed by a third article by William L. Stone, who related a similar story involving a massive "man-eating shark." The French scientist De Parville published a report of the alleged incident in the Paris Journal des Débats in 1914.